Just when you think things couldn’t get any swaggier. Ah, nothing like variations on a theme to let you know that a look is seriously #trending. When it comes to box braid styles that are regaining popularity for 2016, we’ve been spoiled for choice. And one of the looks gaining heavy rotation with street style stars and general cool girls everywhere is the pompadour box braid bun. As the name suggests, this entails sporting your hair in small box braids, then afterwards fashioning a pomp on the top where your bangs are for a one-two punch take on the awesomely confident pomp pony. Step 1: Start with clean and prepped hair. 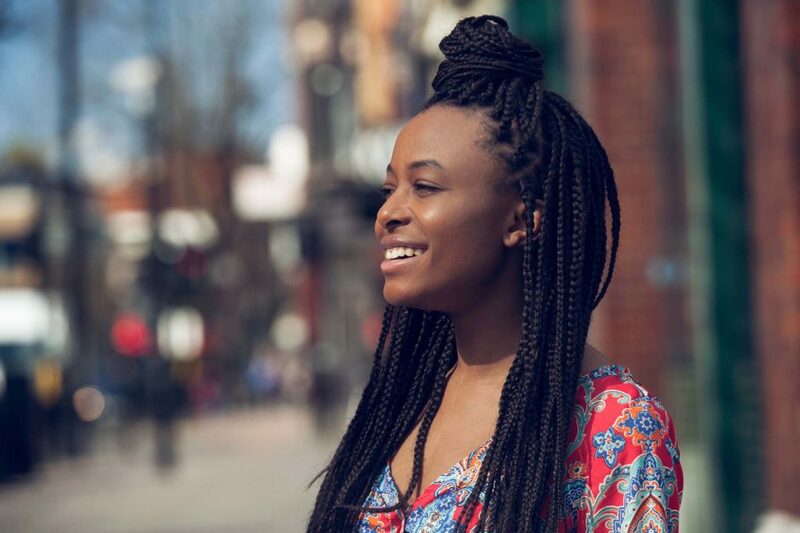 Locks that have been washed, dried and moisturized thereafter are the best canvas for a sturdy—and shiny—set of box braids. Use a leave-in conditioner or frizz-fighting heat protectant before blowdrying to fully prime hair for braiding. Step 2: Start your box braids. Section hair into four quadrants (top left, top right, bottom left, bottom right) and further subdivide each into smaller squares by “pinching” hair to be braided. Using this pinched section and a basic three-strand braid technique, braid hair from the top moving downwards to the ends. 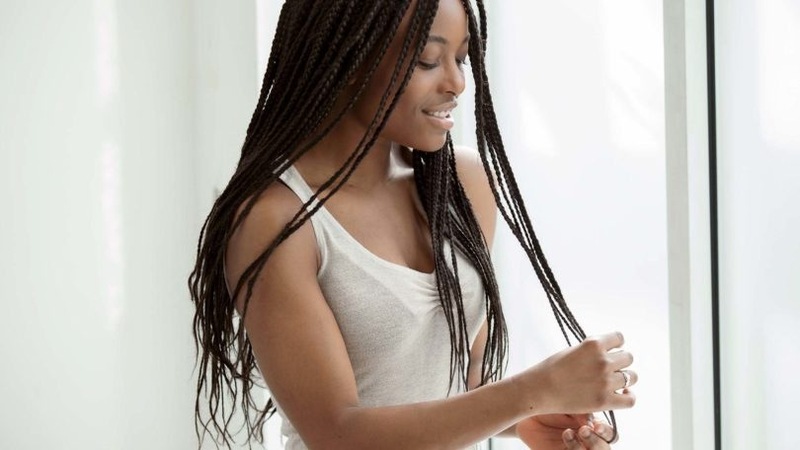 Leave around 1” of hair at the root for wiggle room so your braids aren’t too tight—not only will they feel uncomfortable if so, they also look uncomfortable! Box braids are an interesting and unique-looking jumping-off point for more intricate updos. Step 3: Do the flip-over. Once your entire head is completely box braided into tight, uniform ropes, gather the top front section (as if creating a half-updo) and flip hair over (as if drying your hair, the 1980s way). While upside down, gather your half-updo braids and start another, bigger basic three-strand braid from your scalp till the ends. Step 4: Flip it back. This fatter inverse braid will provide the basic bump for your pompadour. Hold the end of your half-updo inverse braid in place with your fingers or bobby pins, and take a few more braids on each side of your face to incorporate into the half-updo braid. Step 5: Hide the seam with a tie. Tie hair in a sideways twist right at the middle where everything intersects. It should look like the first step in tying a shoelace, before you get to making the loops! Leave ends to dangle around the sides. Step 6: Put it up a big pony. Gather all the rest of your braids, incorporating everything into one giant ponytail at the middle back of your head. Secure with a fabric-covered hair tie or one that stretches out comfortably, since this style will definitely fatten up your ponytail diameter. Done! What other box braid styles are you looking to rock this summer?